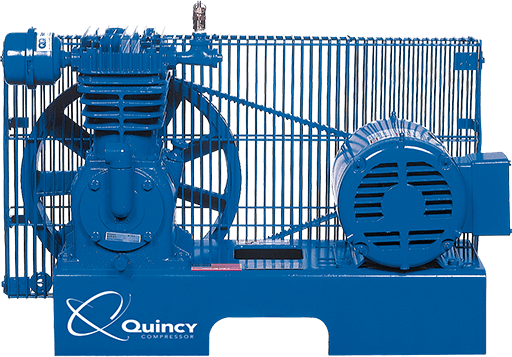 The Quincy Compressor application specific air compressor models include climate control systems that are designed and engineered for efficient and effective climate control in all types of operating environments. 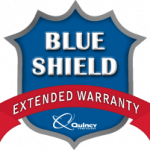 The options include Simplex Splash Lubricated Tank-Mount models that include an ASME pressure relief valve, a pressure gauge, a manual shut-off at tank discharge and a manual tank drain. A Duplex Splash Lubricated Tank-Mount model with a Duplex Control Panel and optional dryer is also available. 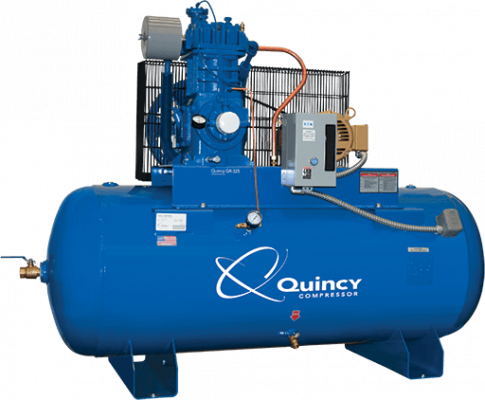 The QP is a two-stage pressure lubricated air compressor that has a working pressure of 175 PSI for your more challenging air compression applications. It’s key features include a cast iron crankcase, flywheel and cylinder, reliable positive displacement oil pump and high efficiency intercooler. Available in a “standard” configuration Pro Unit, as well as a “fully loaded” Max Unit. 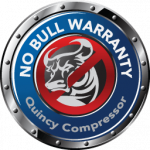 Quincy’s QR-25 is a heavy-duty, premium, top-of-the-line pressure lubricated piston air compressor. By being pressure lubricated in all critical areas, the QR-25 delivers up to 25 hp. Available in single- and two-stage versions, the QR-25 is designed to operate at slower speeds and is equipped with intake loaders that minimize work. The rugged cast iron construction ensures a long life expectancy, less downtime and easier maintenance. Other key features include loadless starting, a manually reversible oil pump and rebuildable components. 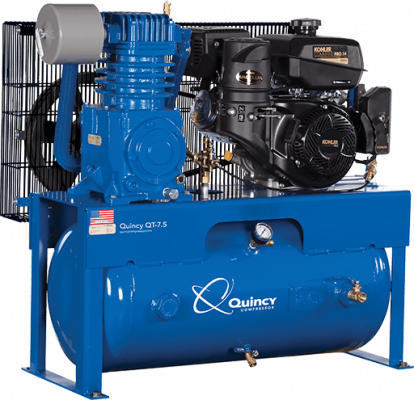 Seen as the industry standard in piston compressor technology, the performance of Quincy’s QR-25 is legendary. The two-stage splash lubricated QT piston air compressor models are designed to deliver higher volumes of air while also consuming less energy. The special valve design provides the highest possible volumetric efficiency and features super-strong stainless steel valves. The balanced counter-weighted crankshaft ensures smooth operation and fewer maintenance headaches. The cast iron construction also assures a long compressor lifespan. As with the QP line, the QT is available in Pro Unit and Max Unit options.